Information is derived from MLS data and is deemed to be reliable but is not guaranteed The listings on this site were last updated on 04/19/2019. Some properties which appear for sale on this site may subsequently have been sold or may no longer be available. 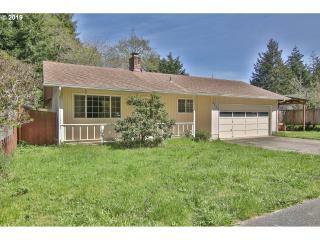 The listing data on this site comes in part from the IDX program of the RMLS™ of Portland Oregon. Real Estate held by brokerage firms other than Neath the Wind Realty, Port Orford, Oregon, are marked with the IDX logo and detailed information about these properties includes the name of the listing brokers. Listing data is copyright © 2019 RMLS™, Portland, Oregon. Susan Eastman is an affiliated Principal Broker for 'Neath The Wind Realty, inc. A graduate of the University of California - Davis, she has a B.A. Degree in both political science and rhetoric. Her masters studies at San Francisco State were in Broadcast Communications. Her work career began as a fundraiser for two symphony orchestras and multiple youth organizations in the San Francisco Bay area, with a promotion to the position of Development Director. In 1977 she received her first real estate license, serving both the Bay area and Marin County. Innovative, she discovered the need for a compendium of real estate listings, subsequently printing and publishing her own real estate magazine. In 1988 she discovered the wonderful little town of Port Orford, where she bought a home. Her true passion has always been wrapped around the real estate world. In 1993 she received her Oregon real estate license, where she is able to put her vast knowledge of real estate into action for her clients. Her love of the ocean, back country, rivers, lakes and quiet way of life makes her a perfect choice to help clients find their dream homes. Fondly referred to as 'the bulldog' by those whom work with her, she'll get your deal CLOSED, or your property SOLD! A graduate of Pacific High School in 2008, I left Port Orford for college, first at Lane Community College in Eugene, Oregon; then at Southwestern Oregon Community College in Coos Bay, Oregon. While I was finishing my Associate Degree I decided to try my hand at the culinary arts so I enrolled in the Oregon Culinary Arts School there on the SWOCC campus. After a very busy year (2010) I graduated with my AA and a Culinary Arts degree. I decided to come home and complete my externship in the culinary arts at Paula's Bistro. While home I contemplated careers. I love food and cooking but I also enjoy interacting with people. If I was going to stay in the Port Orford area, I could tell I would need to be as versatile as possible. So, I embarked on my Real Estate career. This has been an exciting step. I enjoy talking with people that stop in the office and I am learning more than expected. My hope is that I may make buying and selling an easier task for my clients. Please give me a call - I am ready to work for you. I was born and raised in British Columbia, Canada moving to the United States when I was 20 years old. My brother and I operated a video store in Laguna Beach, CA for 20 yrs. I moved to Oregon in 1998 when I purchased and rebuilt a movie theatre in Port Orford. At this time I also went back to college to become an EMT. I volunteered for The Port Orford Ambulance as a medic for over 10 years. Operating the theatre at night allowed me to fill my days as a mail carrier for the US Postal Service for 16 years; hence I know the Port Orford area and the residents very well. Betty, was one of the first people I met when I moved to the area, and quickly became a close friend who has encouraged me to join her team in Real Estate - which is quickly becoming one of my favorite and most enjoyed careers. The challenges of finding not just a house but a home for clients who are going to settle in our quaint seaside town, or the surrounding area, is rewarding. I love to show clients the hidden treasures this town holds: treasures like the five state parks in this town, or the Elk River - which is one of the most pristine and amazing rivers in all of Oregon. When a client is selling their home it is always an honor to represent them and ensure that their homes are featured in the best possible way. Whether buying or selling your home, it would be a privilege to assist you through the process to make the transaction as efficient and easy as possible for you. After finishing my English and Wine Tourism studies in Southern France where I am originally from, I worked as a travel agent in the Bordeaux wine region. The travelling bug then took me across South America and Europe until I decided to finally settle in Port Orford. This is when I decided to professionally reconvert myself as a realtor, and share my love for the natural wonders and warm community feel of our area. As a real estate agent, my goal is not only to represent my clients the best I can but also educate them throughout the process of buying or selling a home, armed up with top notch information and market insight. In my free time, I love exploring the beaches, rivers and mountains of our area, and do various crafts. adcopy: Surrounded by an abundance of Fruit trees this private and secluded ranch home sits on almost 9 acres.Large spacious home with floor to ceiling windows in Living-room to capture the beauty of the garden and Orchard. Hardwood floors throughout living and dining area,luxury size bedrooms, Pantry and large laundry/storage room.The Pond and seasonal creek add to the ambiance of country living. 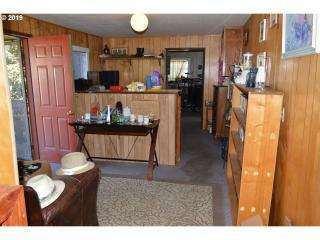 adcopy: OCEAN VIEW AND ACREAGE! The home can be lived in while you rebuild or start over! Enjoy the views and sunsets while you work. 2br, 1 bath with a loft area upstairs. adcopy: PRICE REDUCTION! Room to Dance in this newly remodeled Open concept floor plan. Warm and Bright Kitchen with Hickory Cabinets,Marble counter-tops and beautifully Tiled floors throughout the home.Large level yard, plenty of room to build a shop. 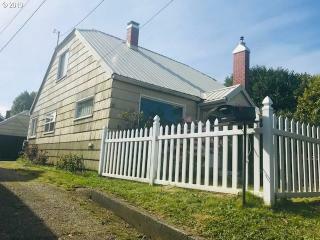 Close to Rivers famous for abundant Steelhead runs, near the Ocean and Beach's, State Parks and Garrison Lake.The Price is right, Big Home,Little Budget! adcopy: A very cute cottage in a quiet neighborhood within walking distance of town and stores. The back yard view is right into the forest, the 1 br, 1 ba home has an open floor plan with a kitchen island separating the kitchen and living room. There is an attached single car garage, an extra bonus room and unfinished second bathroom. With a little more finish work, this home will be your sweet cottage by the forest. adcopy: Good Morning Sunshine! Cathedral ceilings and Trapezoid Windows let in the light and warmth. Relax in the hottub or one of the multiple patios as you drink in nature from the abundance of fruit trees in the Park-like setting.Horse Barn with Plenty of pasture to graze.Nestled amongst the trees for privacy,yet minutes to town,beaches,lake and rivers,with an outdoor shower for the surfing enthusiast! 2nd Dwelling with 1bd/1ba on property. adcopy: Do NOT pass this one up !! Must see inside, this well-maintained 3 br, 2 bath home with an extra bonus guest quarters that needs finished! Well laid out, spacious, tastefully done and very quiet 29 acre farmland with cranberry plantings, 30 blueberry plants and numerous fruit trees. The property is fenced with a large 40x60 shop and a 12x24 pump house. There is easy access to Bandon or Port Orford. adcopy: A home with timeless elegance. Warm open floor plan with abundant natural light from the multiple skylights and large viewing windows of the Pacific Ocean. Detached Guest quarters and Studio look upon the gardens and landscaping. Quiet and private, relax in the hot-tub off the expansive deck,snuggle by the fireplace or create culinary masterpieces in the gourmet kitchen.This stunning home is a must see! adcopy: Secluded and Private this beautiful Log Cabin Chalet is complimented by the large Ironwood deck with a covered Porch. Large 26x48 shop with loft, RV parking. Relax and enjoy the abundance of flowers, fruit trees, wildlife and gardening. Minutes away from Beaches,Lake and town.A must see, this won't last long.Private road, no drive-by's please. adcopy: NICE COMMERCIAL/RESIDENTIAL ZONED LOT in the Heart of Town. Just minutes to the Beach. Level and ready to build. Want your home and business together? Then this is the place for you. Can be manufactured or site built home. Can be a business or a residential or both. Lots of possibilities here! adcopy: CLOSE TO THE BEACH on a lovely secluded street in the heart of town. Build your tiny home here in trees. Plenty of room for a larger home, also. Manufactured homes are allowed in this area. Commercial/Residential zoning so you can have lots of space. adcopy: CLOSE TO THE BEACH IN THE HEART OF TOWN. 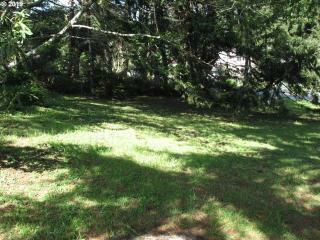 This lovely 90x100 Commercial/Residential zoned lot is surrounded by lots beautiful trees. Plenty of room to build. Walk to everything. Secluded street setting. adcopy: BEAUTIFUL MEADOW SETTING ideal for truck farm or animals. Lovely treed area in the back offers plenty of room for your secluded home. Room for large shop. 2.92 Acres of green pasture in front and trees in the back. Just a short mile from Paradise point Beach and developing Pacific Gales Golf Course. adcopy: COMMERCIAL ZONED PROPERTY WITH ALL UTILITIES ON PROPERTY. Perfect location in the heart of the business district. Nice .26 acre lot with access from 3 sides of property. Zoned for commercial, residential or both. adcopy: INCREDIBLE VIEWS OF PACIFIC OCEAN, Battle Rock Beach and Humbug Mountain. COMMERCIAL ZONING allows you to build units, home, vacation rental or bring your own ideas. WHALE WATCHING at its best right from your front window. Battle Rock Beach is just steps away. Surfers delight. South facing lot zoned for either home or business or both! adcopy: PRIVATE FAIRYLAND SETTING. 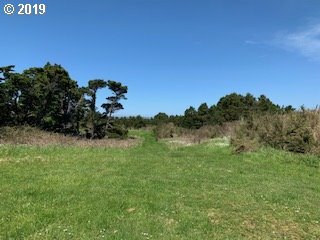 Close to the beach and developing Pacific Gales Golf Course. Can be divided into 3 lots. Seasonal stream, huckleberry bushes and lovely trees. Room for animals and big truck garden. adcopy: Beautiful lot in town yet private and quiet. 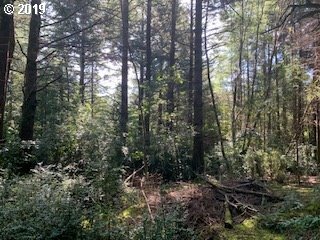 Come see its gorgeous views of the Ocean and Garrison lake and imagine your dream home on the flat home site facing the Great Pacific yet protected and nestled in a lush forest.Driveway to homesite cleared. All utilities to property line. adcopy: HISTORIC BOOT HILL ROAD IS THE IDEAL LOCATION TO BUILD YOUR DREAM HOME. OCEAN VIEW LOT in beautiful Tichenor Terrace subdivision with protective CC&R's. High on the hill with Spectacular Views of City, Ocean and Mountains. Located above the tsunami zone. adcopy: Ready to Build! Water, Sewer and Electric already established. Located in WoodGlen Estates, a quiet neighborhood. 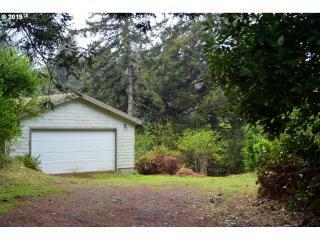 Commute easily to shopping, schools, Garrison Lake, or the beautiful Pacific Ocean beaches. adcopy: Country living at its finest, beautiful oak beams compliment this adorable cottage with an Ocean view from almost every window. Cherry, Apple and Lilac trees surround the fully fenced yard. A dutch door in the kitchen lets in the Ocean breeze and steps out to the patio.The enchantment starts as you enter thru the 1700's Church door from England into this open concept, elegant, story book home. adcopy: Gorgeous wooded lot in a quiet and private subdivision, close to town and the beach with paved access and underground utilities. Build your beautiful home, nestled in a pristine rain forest. Take a walk through the big trees and native flower bushes and let your imagination run free! Lots of potential! adcopy: PRICE REDUCTION! Country living at it's best, 4.79 acres filled with Huckleberry's, Flowers, Cedars and pasture land. Enjoy quiet solitude, several suitable building sites to choose from and current Septic approval. Fenced on 3 sides.A great value like this doesn't last long. adcopy: Buildable lot with Mountain Views and a potential for an Ocean View. Centrally located close to Ocean Beach's, Port and the City.A perfect property for your Cabin or Cottage.Utilities available at the road. Survey on File. 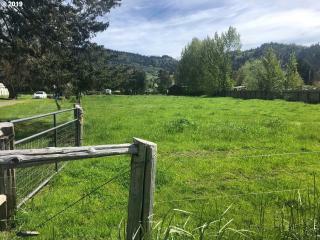 adcopy: Picture perfect paradise setting for your new home , beautiful meadow, seasonal creek in back and just the right number of trees for privacy. Place your home on this large peaceful parcel or subdivide for a smart investment. This parcel is gorgeous , a great country feel close to town! adcopy: SUNRISE, SUNSET OCEAN VIEWS from this lovely East/West facing lot. Sunny and very well maintained subdivision. Protective CC&R's for your custom home in a great neighborhood on Coast Guard Hill. Out of the tsunami zone. Underground utilities, paved road and in town location make this the perfect location for your new home. adcopy: This designer home is a hidden gem on the Southern Oregon Coast, with its bright living space and spectacular ocean views. Its contemporary architecture features an open floor-plan with vaulted ceilings, floor-to-ceiling windows facing the coast line panorama, and apparent beams and trusses. High quality materials and appliances make it a very energy efficient home. Email or text listing agent for a complete brochure! adcopy: PRICE REDUCTION! Love the Beach? What are you waiting for? Come build your brand new home on this Spectacular Ocean view 8.59 acre lot. Potential to divide the lot. Priced to sell so look no further.Two drilled Wells on property. 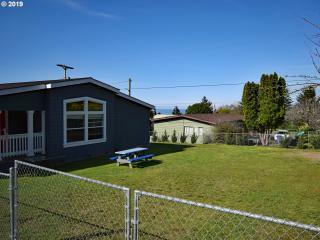 adcopy: Lot in the scenic town of Port Orford, situated at walking distance from stores, school and the beach. The property is at a corner lot, which gives it more potential - various entries, landscaping opportunities, etc.You can build your dream home nestled between beautiful trees but in town! 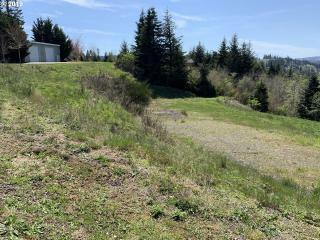 adcopy: Almost 8 acres lot in a warm and sunny location, minutes from the beach -and one of the top surf spot of the area - Hubbards Creek beach. 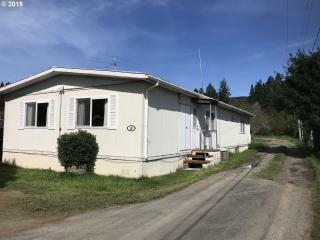 Situated south of the friendly community of Port Orford, in a private valley, this property has great potential. Build your dream home on one of the two flat homesites, nestled in a lush temperate rainforest, with a possible ocean view from the top of the parcel! adcopy: Price Reduction!! Incredible investment opportunity Tri-Plex Rentals located above the Port Orford Harbor on the Scenic Oregon Coast.2 2bdrm/1ba apts,1 3bdrm/1ba apt,4 garages 3 storage units.Recently remodeled 2 of the apts,good rental history.Centrally located in town,by the beach,shopping,restaurants, State and City Parks. adcopy: PRICE REDUCTION!! Incredible investment opportunity Tri-Plex Rentals located above the Port Orford Harbor on the Scenic Oregon Coast.2 2bdrm/1ba apts,1 3bdrm/1ba apt,4 garages 3 storage units.Recently remodeled 2 of the apts,good rental history.Centrally located in town,by the beach,shopping,restaurants, State and City Parks. Live in one and rent out the others. adcopy: PRICE DROP! DAD'S ANTIQUES,COINS & COLLECTIBLES. 17 mini storage units/2 garages/1b/1ba Apt and retail store front.Good rental history with long term renters. Excellent Hwy 101 exposure for starting your new endeavor. Location, Location, Location!! adcopy: SECLUDED PRIVACY IN TOWN ON THE GENEROUS SIZE PARCEL WITH MATURE FRUIT TREES AND A SEASONAL CREEK. adcopy: THIS IS AN OCEAN VIEW COMMERCIAL PROPERTY WITH POTENTIAL FOR MULTI-FAMILY UNITS, CONDOS, OR PRIVATE HOME; SEASONAL CREEK RUNS THRU PROPERTY. adcopy: VACATION RENTAL SPECIAL!!! WALK TO THE BEACH! THIS HOME IS ZONED FOR RESIDENTIAL OR COMMERCIAL! Perfect for a B&B, air B&B, doctor office, group home, business, nursing home or just a large family. 14 rooms with 4 bedrooms, 4 bathrooms (3 with tubs), Large kitchen w/island, formal dining, living room, family room, nice yard and 2-car garage. Totally remodeled and ready to move-in. Great location close to everything. Lots of hardwood. adcopy: Run, Don't walk! This is priced to sell fast. Build your home in it's own forested privacy and listen to the Ocean waves below. Located up in the desirable Cedar Terraces amongst the trees and privacy yet conveniently near town, Ocean, Lake and Parks. adcopy: IT'S THE NEIGHBORHOOD THAT EVERYONE DESIRES, ocean views, beautiful parks with walking trails and close proximity to town. The whitewater view is from a 7 foot ladder. City utilities (water, electric and sewer) are at the lot boundary. Join this custom home area. 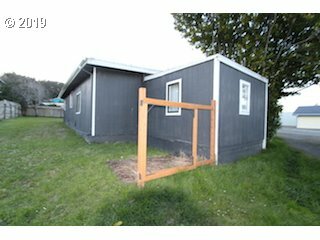 adcopy: Nice 80x100 lot in a quiet neighborhood of Port Orford. A few fruit tree's and bamboo skirt the property. It's just two blocks from the beach, art galleries and restaurants. Agent owned. adcopy: REDUCED! IF YOU COULD CHOOSE A VIEW - IT WOULD BE HERE. This small ocean view neighborhood has the most magnificent views in town. Just over 1/3 acre in size, this parcel is in an area of high-end homes, that has both mountain and ocean views. There is paved road access, a level and ready-to-build lot AND city hook-up fees are already paid (a $17,000 savings)!